"Waiting on" Wednesday is hosted at Breaking the Spine and spotlights upcoming releases that we're eagerly anticipating. Haven't done this in a while now, but hopefully I'll remember to do these since they're so fun! Love discovering new books to add to my TBR pile via WoW, therefore, be so kind and leave your links below so I can visit you back! Why? Can I tell you a secret? *ahem* I'm already in love with this book. I can't say I love it, but there's definitely an attraction going on. This contemporary YA romance novel sounds like a lot of fun, add a pair of fighting nemesis who're going to work together to solve a mystery and spice it up with falling in love – yeah, I'd sure like to read this book! And the cover is pretty cute! The coloring on the backround kind of reminds me of a circus (don't ask me how or why.. it just does) and having been to London myself, I can say that this city is anything but boring and it's definitely suitable for a cute romance. Looking forward to getting my hands on this book. 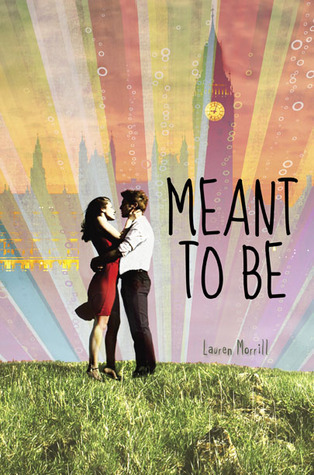 I've got a copy of Meant to Be from NetGalley - I think it's next on my reading list and I'm super pumped! This week I'm waiting on The Beautiful and the Cursed by Page Morgan! I know, I can't wait to read Meant to Be. I feel like I have been waiting FOREVER to read it. And I still have to wait another month.